Yes it's Woody again, only this time he's actually in the film. He plays Ray Winkler, a former criminal who's decided to become a bank robber.His ingenious plan is to hire the shop next door to the bank, and tunnel through to said bank whilst his wife covers the whole thing up by opening a cookie shop. As the powers that be, and Hollywood, would have it, the cookie shop is a runaway success, which is handy since the bank job thing goes horribly wrong. Fast-forward a year and the wife starts throwing dinner parties for their posh friends. After enlisting the help of art dealer David (an against type Hugh Grant) at the aforementioned dinner party, the couple get embroiled in various love triangles, jewellery scams and embezzlement. 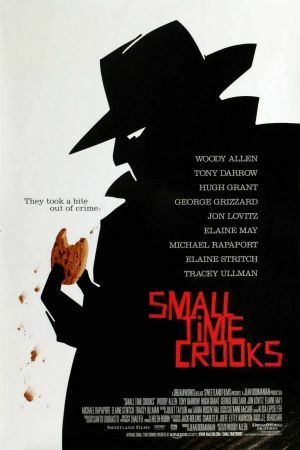 Woody Allen is generally considered one of the finest comic moviemakers of recent cinematic history and Small Time Crooks doesn't disappoint. The characterisations are witty and spot on. The acting is naturally good and Hugh Grant is a revelation showing the slightly darker and slimier side to the floppy haired Englishman routine that we all know and love (ahem!). 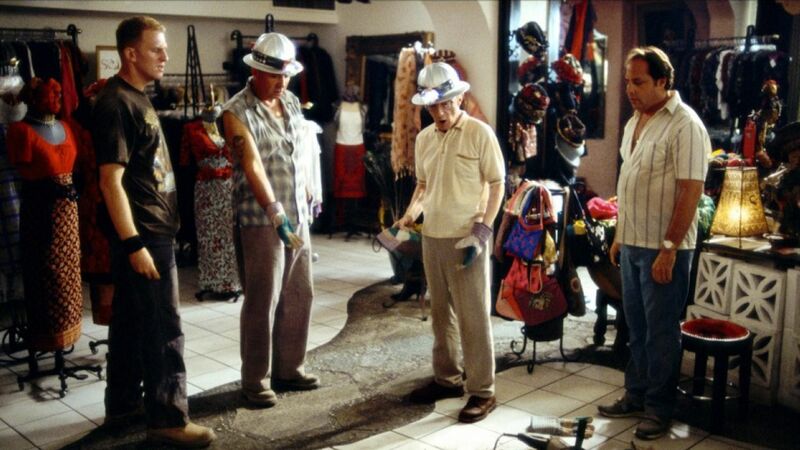 The script contains many of Allen's trademark one liners and insights into life and neuroses. He's been off the screen for a while but it's good to see him back and Small Time Crooks is as good a return to the front of the camera as he could've hoped for.